Good morning beauties and Happy Saturday! I’m super excited it’s the weekend and I’ll get to spend the days hanging out with the girls, shopping and blogging! What are your plans, anything exciting? In case the answer is ‘no’ fear not – I have a little list of amazing blogs that could keep you occupied and give you some great inspiration. Meet my lovely Advertisers for the month of April – the sweet Mia from makemeupmia.com and Jenna from beautyxpress0.blogspot.ca. They are both such amazing ladies and their blogs have become personal favorites of mine, so grab your morning cuppa and enjoy their lovely company! Hi everyone! 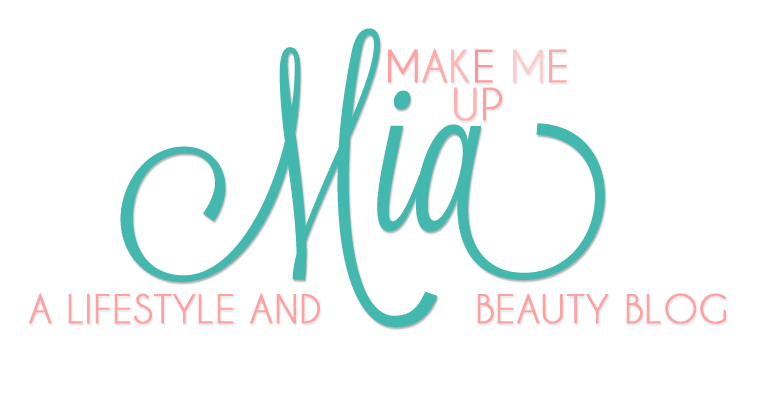 I'm Mia and I blog over at Make Me Up Mia. There you’ll find all of my favorite girly topics- beauty, fashion, fitness, coffee, dessert and my sweet girlfriends. I started my blog because of my love for all things beauty. I’m a self-proclaimed beauty junkie and I'm not afraid to admit it. I love trying out new products and letting people know what I feel is worth it and what isn't. Hey, somebody has to try these products out, right?! One of my absolute favorite things to do is read beauty blogs and watch all of my favorite beauty gurus on YouTube. I love learning about all of the new beauty tips, trends and products. Hello lovely readers of Andrea's blog. I'm Jenna, a self-confessed makeup and coffee junkie. I spend more time playing with makeup, trying new looks, helping friends get ready for special events and shopping at makeup stores than doing anything else (which I probably shouldn't). I have been at uni for the past 5 years, I am now midway through my masters degree, which funnily enough gives me a little more time on my hands to do some of the things I love. I finally decided after years of watching YouTubers, reading amazing blogs (this one in particular), and having so much to add and share that I would start up my own little space. I have been having a blast so far and I would love it so much if you would pop on by. lovely blogs! Just followed both of them on Bloglovin. Their blogs are awesome!! I love your photos, they're always so bright and great! !